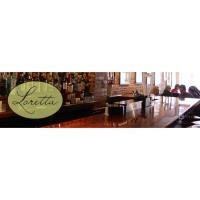 The public is cordially invited to attend Loretta's Jazz Brunch every Sunday, starting November 27th from 11:30 am-2:30 pm. Loretta?s will be hosting Jazz Brunch every Sunday starting at 11:00 am with musical talent from the Danny Harrington Duo beginning at 11:30 am. dexterity, we are sure that you will not forget his performance.